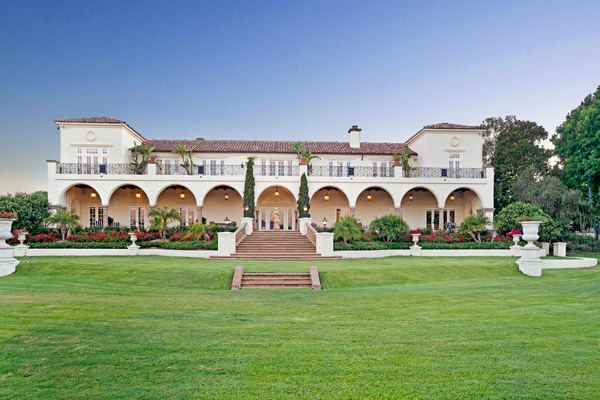 Concierge Auctions, a luxury real estate auction firm serving high-net-worth individuals worldwide, today announced the August 15th auction of the El Milagro estate in the affluent community of Rancho Santa Fe. The auction will be conducted in cooperation with Laura Barry of Barry Estates. El Milagro was originally offered for $19.995 million and will sell to the highest bidder without reserve. A 21,000-square-foot estate unfolding across a 9-acre property, El Milagro is as expansive as it is beautiful. With a 7 bedroom and 8 full and 3 half bathroom main residence, the only full house the lucky buyer of El Milagro will ever experience is on the card table. Add to this spacious living space the home’s regulation tennis court, game room, resort style pool, and Dave Pelz-designed pro putting and chipping greens, and it’s clear why El Milagro is a haven for entertainment. Rancho Santa Fe is also a village like no other in the world. 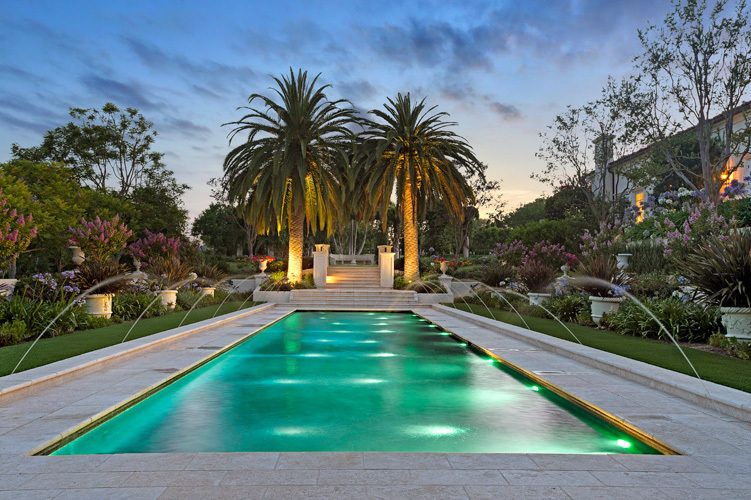 Situated in one of the most naturally stunning areas on earth and home to one of the wealthiest communities in the world, Rancho Santa Fe has been described as the definitive “best kept secret” of luxury residential areas – comparable to other beachside communities like the Hamptons and Malibu in quality of life, but without the crowds and temperamental weather. Indeed, Rancho Santa Fe is the ideal place for those who love to soak up the sun. For the casual spectator, the world-famous Del Mar Race Track is a 10-minute drive away. For those who prefer participating, El Milagro is part of The Covenant, a private community within Rancho Santa Fe that has access to a riding club, garden club, and 60 miles of horse trails, which weave throughout the rolling hills of this community. Just a stroke away rests the world-renowned Rancho Santa Fe Golf Club, a par 72 course designed by master architect Max Behr. And residents who manage to tear themselves from the magnificence of the outdoors can always retreat to the world-class shopping and restaurants that rest at the center of Rancho Santa Fe. The seller of El Milagro, Bill Walters, is a successful entrepreneur and sports betting icon. Walters, who has owned an auction company in the past, decided to sell his Rancho Santa Fe estate by auction because he knew the method would bring not only a high level of interest but also finality to the selling process. 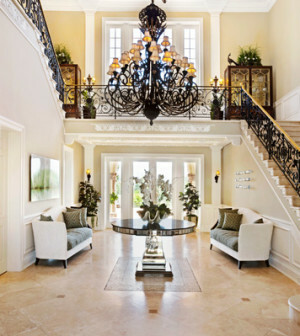 About Concierge Auctions: Founded in 2008, New-York based Concierge Auctions has quickly become the dominant player in the luxury real estate auctions sector, selling high-end properties worldwide through a transparent and market-based bidding process. Since its founding, Concierge has successfully closed over a half-billion dollars in luxury properties, with $194 million contracted in 2013 alone — at an average price of $5.4 million. The business has spanned the globe, domestically from New York to Hawaii, and abroad from Fiji to Toronto. This property is listed for sale by Laura Barry (01154111) of Barry Estates, Inc.(1076961), 6033 Paseo Delicias, Ste. K, Rancho Santa Fe, CA 92067, Auctioneer Frank Trunzo (CA Bond #511522). Concierge Auctions, LLC is the provider of auction marketing services and possesses California Auctioneer’s Bond #511475 – 777 S. Flagler Drive, West Palm Beach, FL 33401 (888) 966-4759.